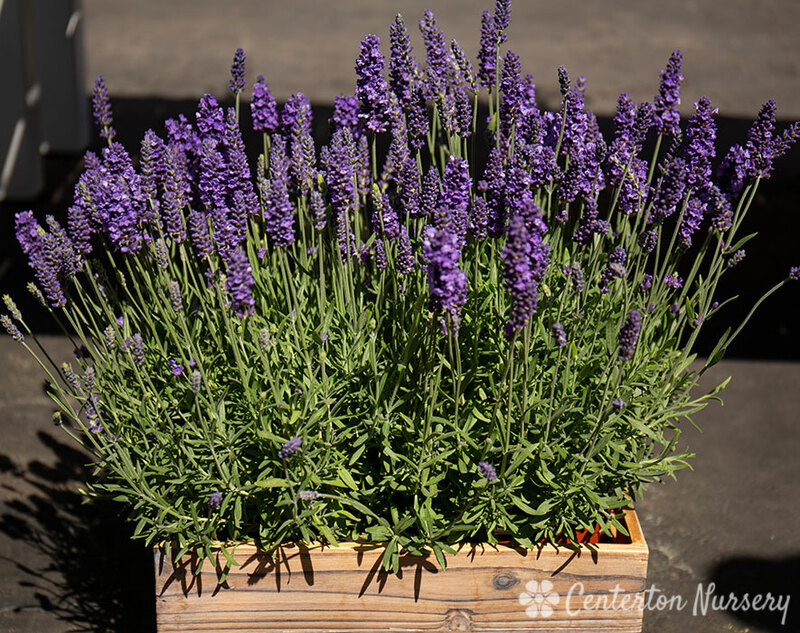 The showiest of all English Lavender, donning large spikes of bluish-purple flowers that bloom in summer. 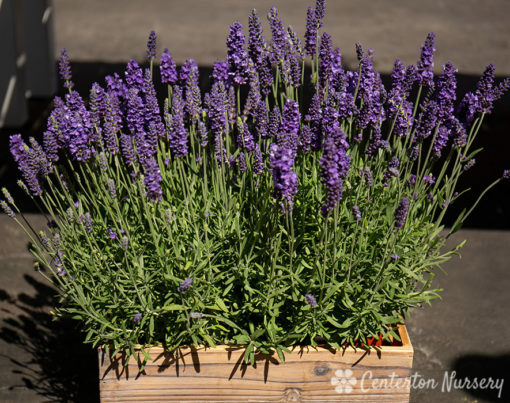 Its compact size makes it a good choice for containers and the front of the border. 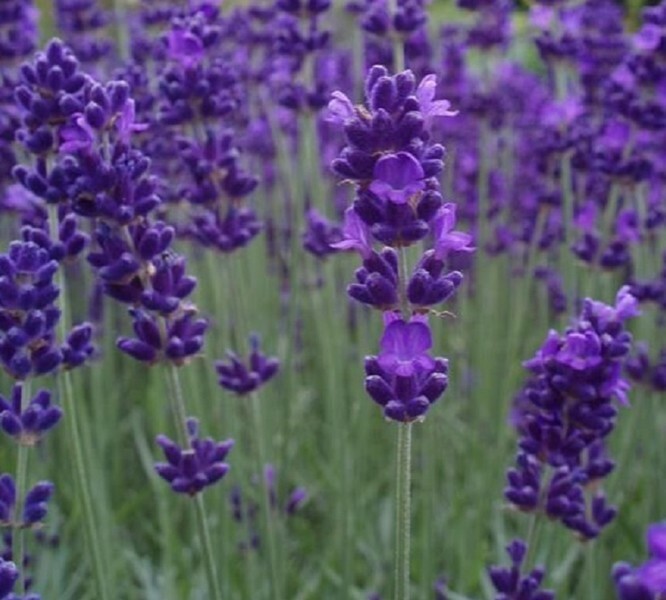 Grow in average, dry to medium, well-drained, alkaline soil in full sun. Well-drained soils are required, particularly in winter. Root rot commonly attacks plants grown in poorly drained soils. Prefers a light, sandy soil with somewhat low fertility. 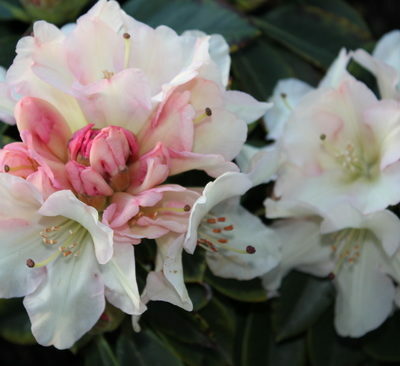 Remove faded flowers to promote continued bloom. 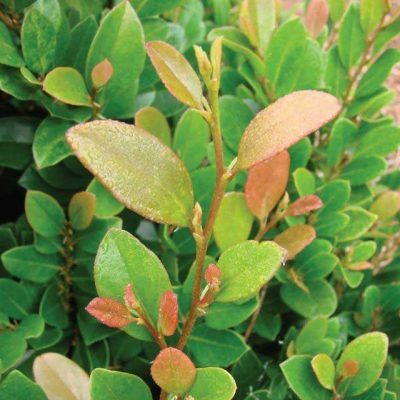 Prune to shape in spring after new leaves appear. 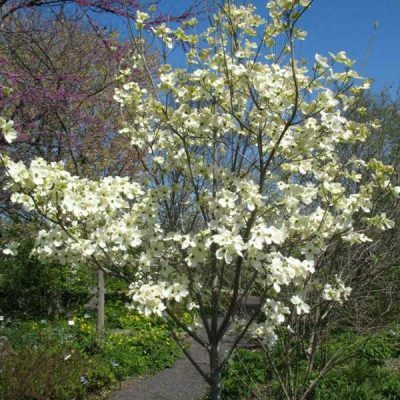 Prune back to 8” in spring every 3 years to control plant size and to promote robust, new growth. High summer humidity is not appreciated. 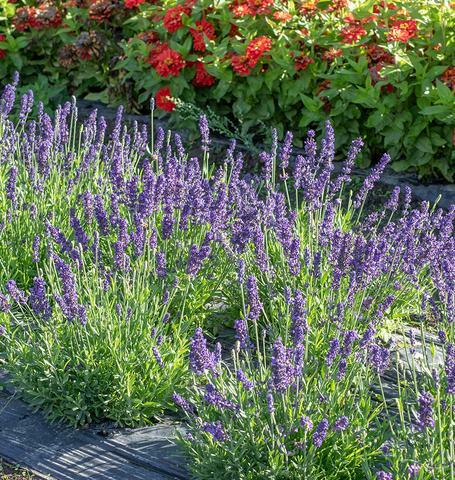 To combat high humidity, consider using rock instead of organic mulch.